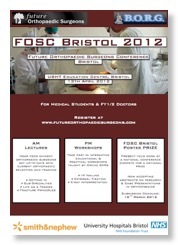 FOSC Bristol is a joint FOS/BORG orthopaedic conference aimed solely at medical students and junior doctors interested in pursuing a career in trauma and orthopaedic surgery with emphasis on the Severn Deanery rotation. Severn offers a themed orthopaedic training programme with 18-months of orthopaedic training at CT1/2 level and one of the best specialty training programmes in the country with a consistently high pass rate at both MRCS and FRCS (Orth) levels. 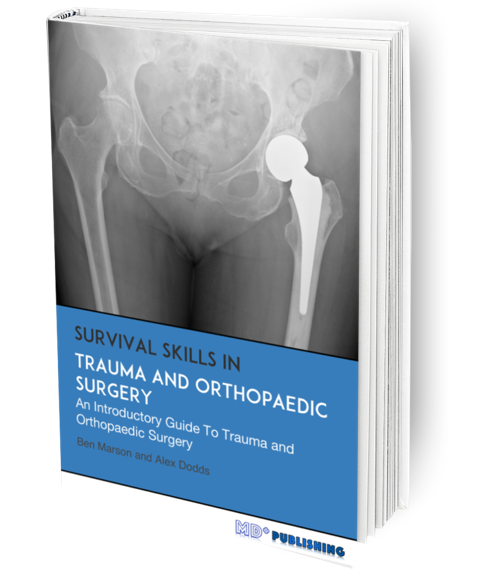 The morning will consist of lectures from eminent orthopaedic surgeons covering all orthopaedic sub-specialties and giving delegates an insiders view of what life is like as an orthopaedic surgeon in Severn. The afternoon will feature practical and educational workshops to give delegates hands-on experience of orthopaedic surgery.